Donald I. Manor, 77, of Bettendorf, Iowa, was called home to rest in the arms of Jesus on Tuesday, March 26, 2019 at home surrounded by his family. He was born July 27, 1941 in Eau Galle, Wisconsin to Irvin and Rose Manor. Don was joined in holy matrimony to Lois nee’ Walter on August 24, 1963 at St. Paul’s Lutheran Church in Menomonie, Wisconsin. They were gifted with 5 children: Chris (Mary) of Davenport, Iowa; Mike (Claudine) of Janesville, Wisconsin; Jonathan (Tiffany) of New Hartford, Connecticut; Susan (Thom) Agosta of Davenport; and Anne (Eric) Howard of Bettendorf; 15 grandchildren: Drew (Meghan), Lucas, Rebecalynn, Madison, Maxwell, Marissa, Grant, Grace, Melia, Cooper, Tyler, Haley, Brady, Elizabeth and Cameron; and 1 great grandchild, Samantha. Don received a Bachelor of Science degree from the University of Wisconsin and had a 38-year career with Deere and Company as a mechanical engineer and systems manager. 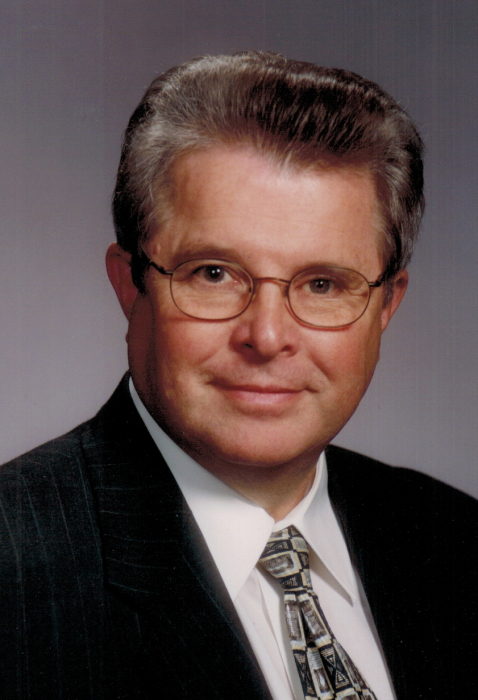 He was active in the Society of Manufacturing Engineers, serving three terms on the Board of Directors, and the Society of Automotive Engineers, including serving as Chairman of the local chapter. Don was an avid Wisconsin Badger fan who enjoyed boating and fishing, traveling, card playing, attending his grandchildren’s activities and spending time with friends and his family whom he deeply loved. Don was a man of deep Christian faith, a member and congregational leader of Our Savior Lutheran Church, Bettendorf, for more than 40 years. He was preceded in death by his parents, brother-in-law Peter Schneider, nephew-in-law Chris Baty and is survived by his beloved wife, children, grandchildren, great granddaughter and his siblings: Dennis (Janet), Dianne (Charles) Stratton, William (LeAnn), James (Ruth), Carol (Kevin) Keith, Fred (Patty), Edward (Karen), Norbert (Sandra), Jeff (Mary), Daniel (Jackie) and sister-in-law Dorothy Schneider, numerous nieces, and nephews. The visitation will be on Friday March 29, 2019 at Our Savior Lutheran Church in Bettendorf from 4:00 p.m. to 8:00 p.m. and from 9:00 a.m. to 10:00 a.m. on Saturday, March 30. His Christian funeral will be on Saturday, March 30 at Our Savior Lutheran Church at 10:00 a.m. Don’s internment will be at Pleasant Valley Cemetery in Pleasant Valley, Iowa following the funeral. Memorials should be directed to Our Savior Lutheran Church Ministry Encouragement Fund or Team Rubicon.